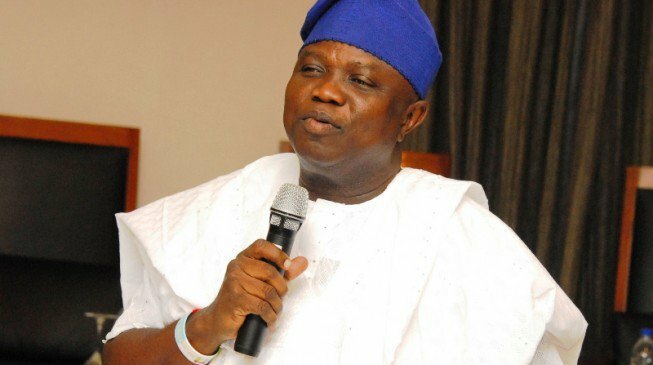 Lagos State Governor, Mr. Akinwunmi Ambode, on Friday expressed the commitment of his administration to provide critical infrastructure and enabling environment for investors to participate in the ongoing efforts to rev up water transportation, saying the sector remains critical to solving the traffic congestion affecting the State. Speaking at a Roundtable on Water Transportation organised by the State Government, and held at Eko Hotels and Suites, Victoria Island, the Governor said though the sector had been left unattended to over the years, but that the State Government was nonetheless now committed more than before to fully harness the potentials of the water transportation to the benefit of the people and economic prosperity of the State. 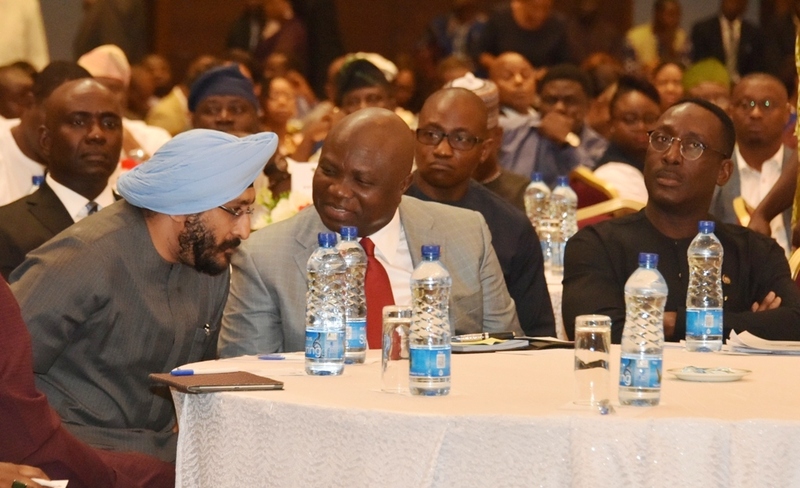 Lagos State Governor, Mr. Akinwunmi Ambode (middle); Commissioner for Transportation, Mr. Ladi Lawanson (right) and Managing Director, Coca-Cola Nigeria Limited, Mr. Bhupendra Suri (left) during the Water Transportation Roundtable at Eko Hotels ad Suites, Victoria Island, Lagos, on Friday, July 27, 2018. He said the chaotic traffic situation in some parts of the State in recent times and the pressure on the road with attendant danger to lives and property, made the need to forge ahead with the reforms in the water sector being championed by his administration even more compelling. According to him, “The question to ask is what has brought us to this despicable situation so to speak where the only mode of transportation for over 22million people is road and the road itself is chaotic. In the last three years, we have been fighting traffic and unfortunately in the last two weeks, we have seen what has happened in Apapa and what we have been trying to do. Just about three weeks ago, we saw what happened with regards to the Otedola Bridge disaster and then the carnage, as well as the inability of government to provide for the needs of the people. “So, among the over 22 million people, almost 8 million are walking on the streets every second and at the same time, 86 people enter into Lagos every one hour according to United Nations statistics for 2016 which is the largest in the world. So, if other states are failing, more people are going to be coming to Lagos and that means maybe right now, there are 120 people entering Lagos not wanting to go back and the only mode of transportation we have for them is just the road and that is why we are coming up with other modes. 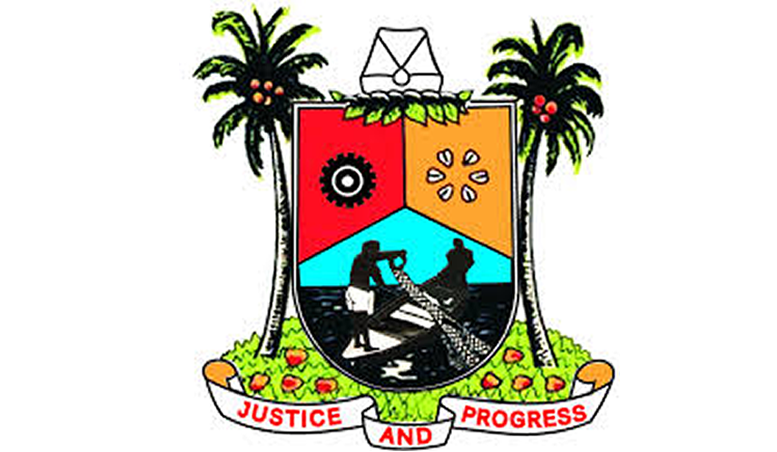 While reeling the benefits of water transportation especially to traffic management, the Governor said it was instructive to note that being surrounded by water, many parts of the State could be connected within few minutes. “I was in Apapa yesterday and I look at the gridlock and it made sense to me that it is just five minutes ride between Apapa and Marina and so the question is can’t we create barges that take our cars officially and then push them there in just five minutes and so in no time everybody is in their offices instead of going through the traffic? 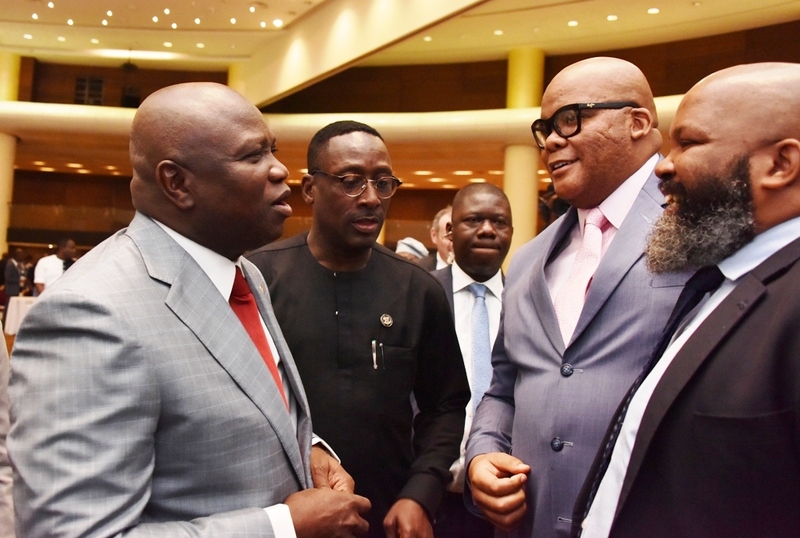 Lagos State Governor, Mr. Akinwunmi Ambode; Commissioner for Transportation, Mr. Ladi Lawanson; Acting High Commissioner of South Africa to Nigeria, Mr. Bobby Moroe and Counsellor, Economic, South African High Commission in Nigeria, Mr. Calvin Phume during the Water Transportation Roundtable at Eko Hotels ad Suites, Victoria Island, Lagos, on Friday, July 27, 2018. “Between Badore and Ikorodu is just ten minutes. So, we lay off people on Ikorodu axis. This is something that has been waiting for a long time and I just think this is the right time for us to do it because those coming behind us will not forgive us if we don’t take advantage of all the things we need to do to develop water transportation,” the Governor said, adding that major channelization projects, shoreline protection and jetties, among others were currently being constructed as part of efforts to boost the sector. He said in addition to efforts ongoing, the roundtable was basically to come up with sustainable framework to boost water transportation and encourage people to adopt it as alternative to other modes of transportation. While wooing investors to take advantage of the reforms in the water sector, the Governor said it was instructive that in the last 36 months, more Foreign Direct Investment (FDI) came into the State largely due to transparency and credibility to encourage investors, assuring that his administration would continually create the enabling environment for businesses to thrive. Earlier, Commissioner for Transportation, Mr Ladi Lawanson said the essence of the roundtable was to evolve effective framework in partnership with the private sector and relevant stakeholders to play up water transportation in Lagos with the view to diverting a lot of pressure currently on the roads to water. Also speaking, a major player in the sector, Mr Ganiyu Balogun, who is the Managing Director of Tarzan Ferry Services, commended Governor Ambode for his commitment to rev up water transportation and harness it’s potentials for the benefit of the people. He said stakeholders were aware of the challenges in the sector and were willing to partner with the State Government to address the issues in the overall benefit of the State. There were also presentations at the event by University of Lagos, United States Mission in Nigeria, Trade and Investment Department of British High Commission and Paramount Maritime Holdings of South Africa, all expressing readiness to partner with the State Government to boost water transportation. Meanwhile, the State Government at the roundtable also sealed a major partnership with a consortium of multi-national companies, Food and Beverage Recycling Alliance, to rid the waterways and water bodies in the State of filth with specific focus on plastic waste. The agreement will also bring about the setting up of a world class collection and recycling framework for plastic waste in Lagos State. The consortium including Nigeria Bottling Company, Coca-Cola, 7-Up Bottling Company, Nestle and Nigerian Breweries, among others, will be investing in boats with capacity to collect waste from the waterways, thereby protecting the ecosystem and boosting water transportation.